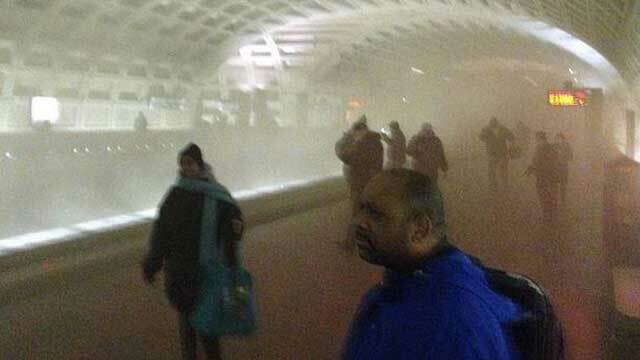 A woman has died and 84 commuters have been hospitalized in Washington DC after heavy smoke filled the L’Enfant Plaza subway station on Monday afternoon, January 12. The L’Enfant Plaza Metro station was temporarily closed. FBI agents with the National Capital Response Squad responded to the incident, following local protocol, according to a spokesperson for the Washington field office. But there was no indication that the smoke was the result of anything beyond a mechanical or electrical fire event, the agency said Monday night. The National Transportation Safety Board (NTSB) sent a team of investigators and fire specialists to evaluate the incident. The Washington subway system serves a population of five million, including transport services to neighboring states. George Washington University Hospital received 34 patients in varying conditions suffering from smoke inhalation, a hospital spokesperson said. According to the D.C. Fire and EMS Twitter account, however, 84 people were transported to multiple area hospitals and over 200 people were evaluated for injuries. Two people were in critical, according to Metro General Manager Richard Sarlis.